As the online taxonomic and ecological resource grows, we are seeking new contributors to submit taxon pages. This project depends on the involvement of many people working on the diverse diatom flora of streams, rivers, wetlands, lakes, springs, soils and estuaries of the country. 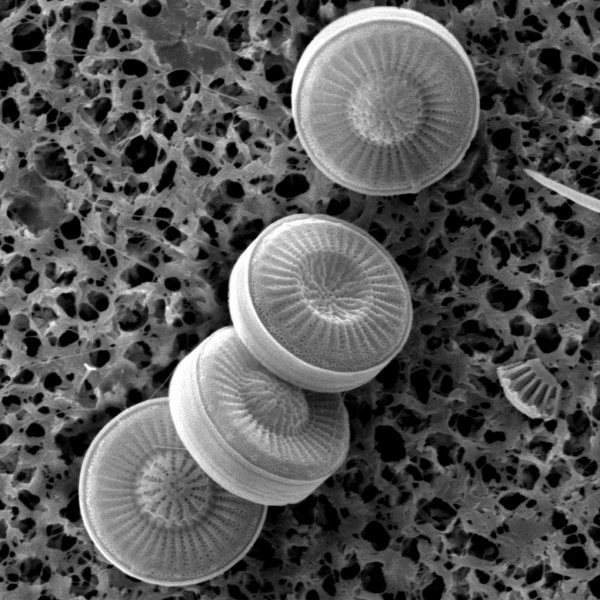 We hope, eventually, to include the thousands, or tens of thousands, of diatom species that occur in North America. • IMAGES of high quality. Contributors must obtain a minimum of 5 light micrograph images of the taxon, illustrating size range and morphological variability from collections in the US and referenced to public herbaria. Images should have metadata associated with them, including cell dimensions, herbarium slide number ID and voucher slide numbers. 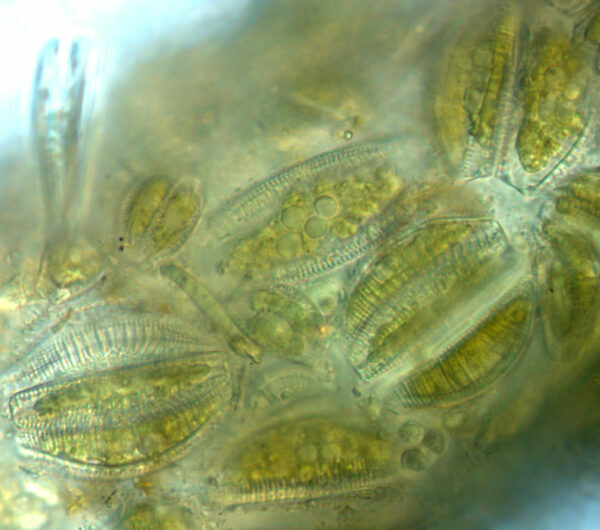 Images must be of good resolution (minimum of 20 pixels/micron) and obtained on a high quality microscope (minimum of 1.3 NA oil immersion objective and 1.3 NA condenser). Scanning electron images are encouraged - and required for species with features that are distinguished by SEM detail. • OBSERVATIONS of the taxon. A clearly written description of the important morphological features of the taxon, with accurate crucial dimensions (length, width, striae count, etc.) The observations must be based on US specimens (not translations of European or other records). • ORIGINAL DESCRIPTION of the taxon. The direct original text and iconotype must be included. • DIAGNOSTIC SECTION must be complete. A concise diagnostic section must point out the key features of each species. The section is to guide bench analyst users how to distinguish closely related taxa, such as “Species 1 has an oval central area, while Species 2 has a rectangular central area”. • LITERATURE citations should be entered. The literature includes original descriptions and other relevant publications. Links to Index Nominum Algarum, California Academy of Sciences and North American Diatom Ecological Database (NADED) IDs are also required. • AUTECOLOGICAL data should be entered. Contributors enter basic information on the habits of each species. Further information on life habits, including images of live material is optional and greatly improves the value of the submission. Contributors will enter information through an online Content Management System (CMS) facilitated by the Project Lead. Instructions for data entry are further elaborated in a Taxon Page Entry guide. Contributors should be willing to make a long-term commitment (5 years) to maintaining the content of their page and updating the data. To see who has already signed up, visit our Taxon Contributors list. Contributors may receive the written Guide to Taxon Page Entry upon request. For more information on becoming a contributor, contact us. Scanning electron micrograph of frustules Discostella stelligera. Note that some valves have a concave valve face, others have convex valve face. Cluster of living cells of Epithemia turgida. Small tufts of Didymosphenia geminata stalks (approximately 2 cm across) in South Boulder Creek, October 2010. This species often grows in the splash zone of streams and rivers.